There's more value to be had at online poker site JuicyStakes this weekend following the additional of a selection of extra events to their busy tournament schedule. Headlining the new additions are a pair of $500 freerolls as well as extra guaranteed turbo and rebuy and add on events. Top of the bill is the $15,000 guaranteed event at 3pm EST on Sunday. 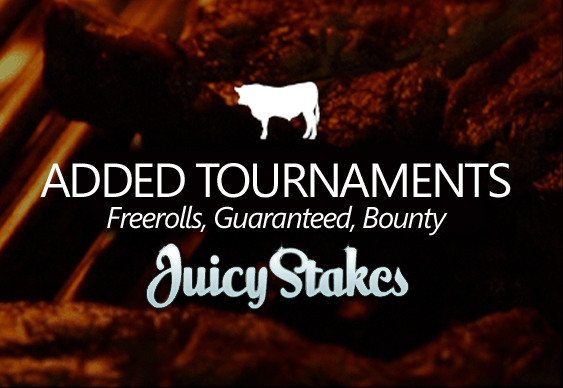 Juicy stakes has also announced details of a reduction in its withdrawal fees for players. Players that earn 100 FPPs in the current month will be eligible for a 50% saving.